Fellowship Home at Cotton Hill is a senior living gem located in the heart of Southwest Georgia. Situated off Main Street in Cuthbert, just down from Andrew College, the campus is nestled on a peaceful 10 acres of land with a spacious building that houses larger-than-average living units. Fellowship Home at Cotton Hill provides comfortable Southern living in a charming southern town! The facility is 30 minutes east of Lake Eufala, 60 minutes south of Columbus, GA, and 45 minutes west of Albany, GA. The campus is a short drive from historic downtown Cuthbert and the community’s medical facilities. Manager George LaHood comments, "If you are looking for a peaceful yet active senior living community with charm and space, you’ve come to the right place." Fellowship Hall at Cotton Hill is a family owned and operated company that provides premier quality senior living services. Management's goal is to provide superior, family-style care in a Christian environment for those who may require assistance with their activities of daily living. They offer 24-hour a day access to staff and a wide array of supportive services designed to give residents what they need and want. Their unique accommodations and grounds provide an enhanced senior living experience like no other. 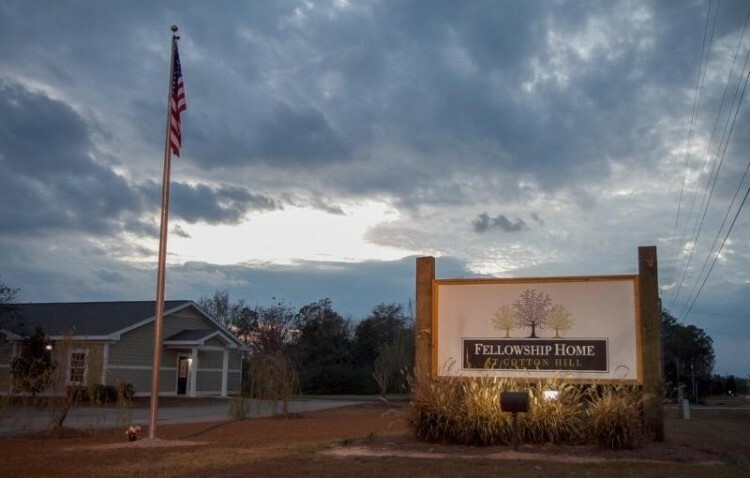 The original location, Fellowship Home at Brookside, located a few miles west of Valdosta, GA, is situated on a piece of the LaHood’s 400+ acre family farm. This senior living community was established in 1978 by the LaHood family as a ministry to senior adults. Several generations of the family still live on the farm and play a key role in the daily operation of the communities here in Cuthbert as well as locations in Valdosta, Nashville, Milledgeville and Cordele. For more information visit the website at www.thefellowshipfamily.com.